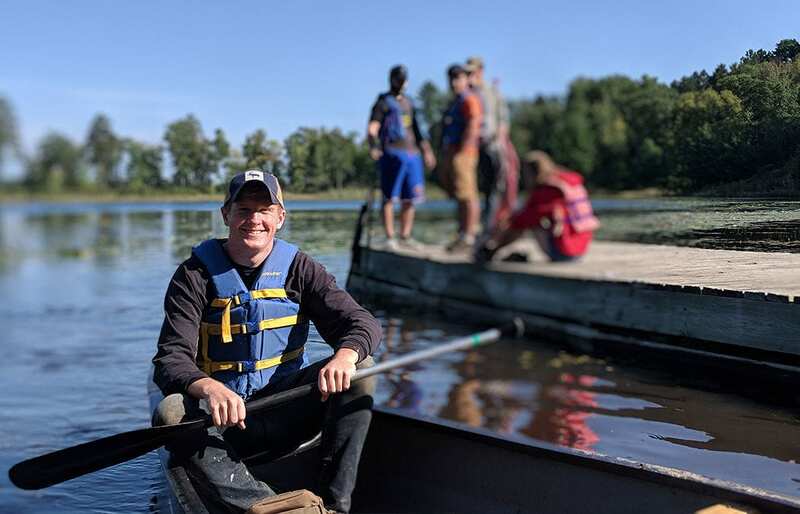 As Josh Balsiger ’20 is quick to point out, there are benefits to being an environmental biology major at Saint Mary’s University, where the classroom extends into the surrounding bluffs, the local stream, and the nearby Mississippi River. 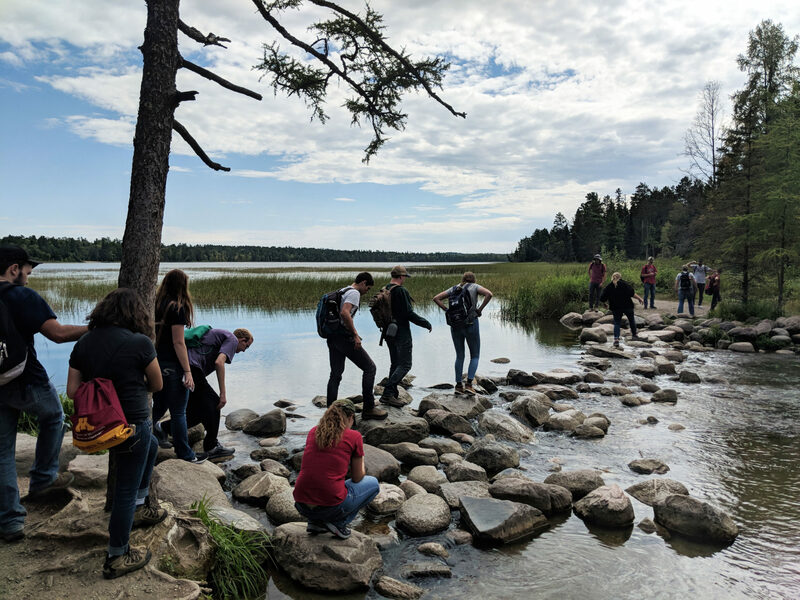 Earlier this fall, 26 students enrolled in Plant Communities and Taxonomy or Introduction to Mammalian Ecology and Diversity got a chance to visit, learn about, and experience an entire new ecosystem far from campus. 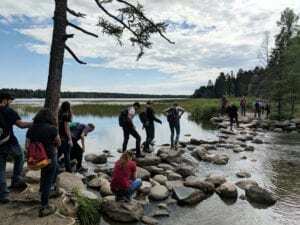 This multi-day field experience took students to North-Central Minnesota to experience Itasca State Park and the headwaters of the Mississippi River, as well as to the Deep Portage Learning Center near Hackensack. As the experience combined both mammalogy and plant ecology, Dr. Moni Berg-Binder and Dr. Ben Pauli were able to teach lessons about bat ecology, lead hikes in which students did plant and mammal identification, cross the headwaters of the Mississippi River, experience old-growth forests in Itasca State Park, and visit two different bogs. Students majoring in environmental biology who are exploring both the terrestrial and aquatic ecology of the Mississippi River watershed were able to see their classroom learning come alive. Deep Portage is situated on nearly 10 square miles of natural area on the shores of Big Deep Lake. Getting outside gives students like Balsiger the opportunity to practice the concepts they’ve learned in the classroom. Field experiences have the added bonus of fostering strong relationships between students, and between faculty and students. Chaffee can attest this statement.